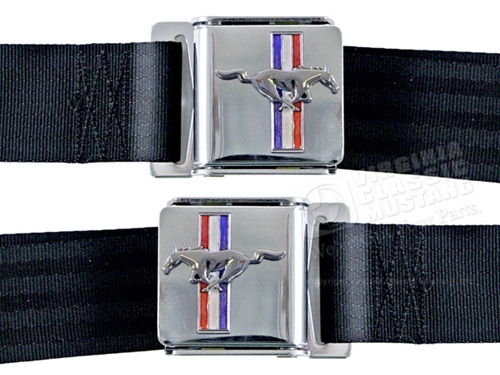 Seat Belt Set with flip-up chrome buckles and red, white, and blue Running Horse Emblem. 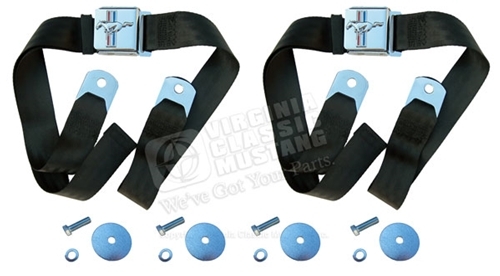 This set will do two seats. Specify color from drop down box.